Oh baby, hot coupon. I know this won’t stay up for long. 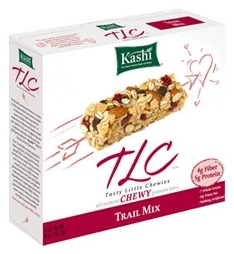 There is a $1.50/2 printable coupon for Kashi TLC bars. If you love Kashi bars then don’t wait to print this one. They have the bars on sale this week at Wegmans for $2.50 each. After coupons makes them only $1.75 each wyb 2.